Martin E. Robins, 36 pages. 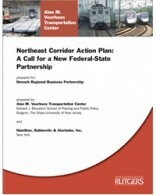 A report prepared with Hamilton, Rabinovitz & Alschuler, Inc. for the Newark Regional Business Partnership. November 2006.